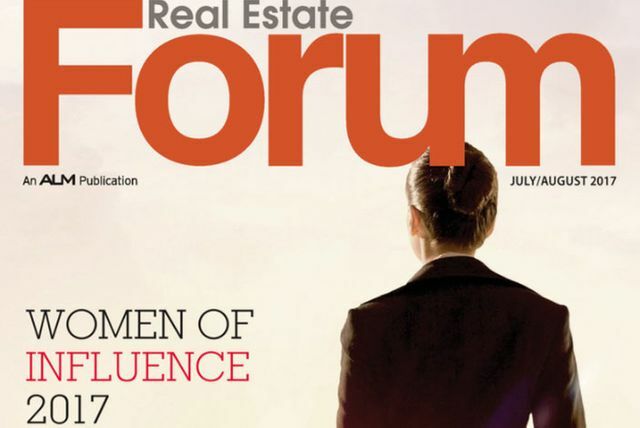 It is wonderful for Real Estate Forum magazine to focus on influential women in their latest edition as women continue to be underrepresented in the Commercial Real Estate Industry, especially in leadership. As we all progress in our career, it is important to remember to have both a "hand up" (seeking out mentorship and sponsorship) and a "hand down", lifting someone else up with you (and providing them with that mentorship/sponsorship). I have been very fortunate at Brownlee LLP to receive that support, and am happy to be paying it forward with the new generation of associates at the firm. If we ALL increase our awareness of unconscious bias, speak out when we see bias/unfair treatment, and seek diversity at the table, we will ALL benefit. Diversity, in all shapes, is important in avoiding "group think" and "being bold for change."